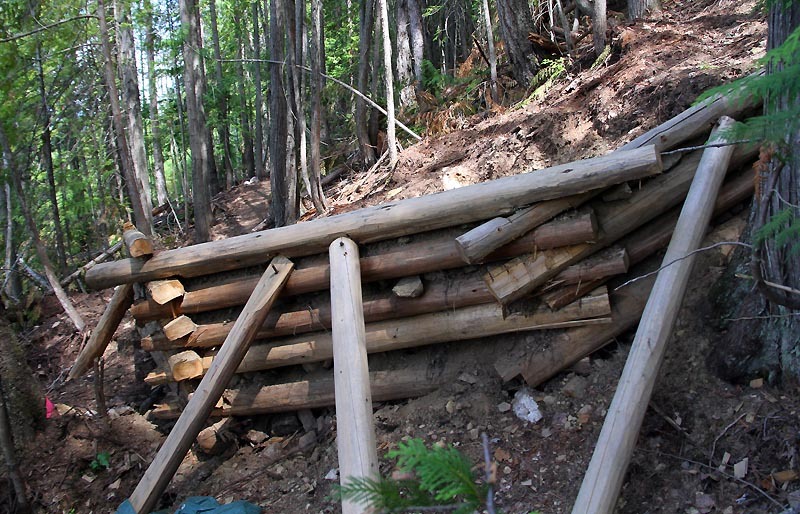 Salmon Arm, most known for house boats, misspent youth and veteran plates has new frontiers lurking in the woods. The gateway to the Monashee Mountains from the burning Okanagan desert the local hills are a new breeding ground for swoopy singletrack, technical trails and sub alpine epic view scapes. 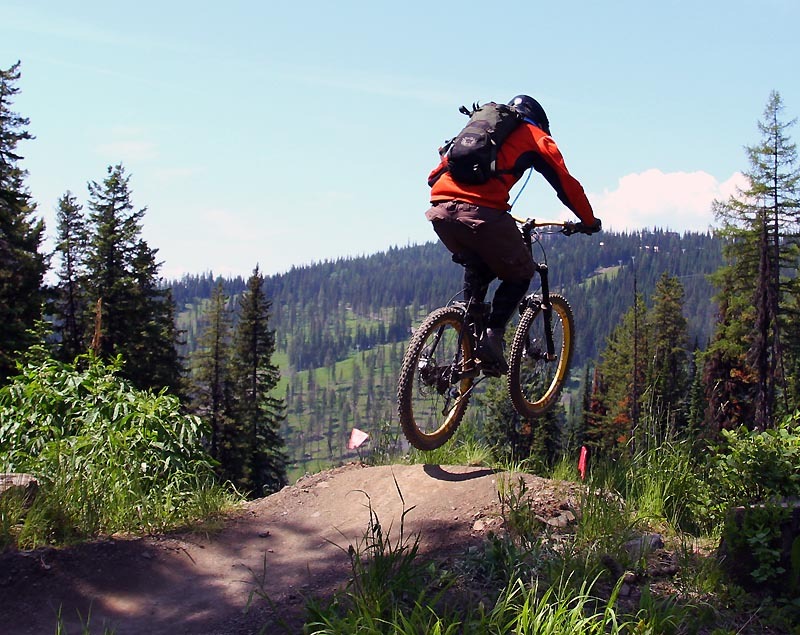 Centrally located 100km from Revelstoke, 100km from Kamloops and 50km from Vernon an area which hosts two of the popular interior Bike Parks – Silver Star and Sun Peaks, Salmon Arm can be the base camp for a diversity of riding. The XC oriented area closest to town is the South Canoe trail system. 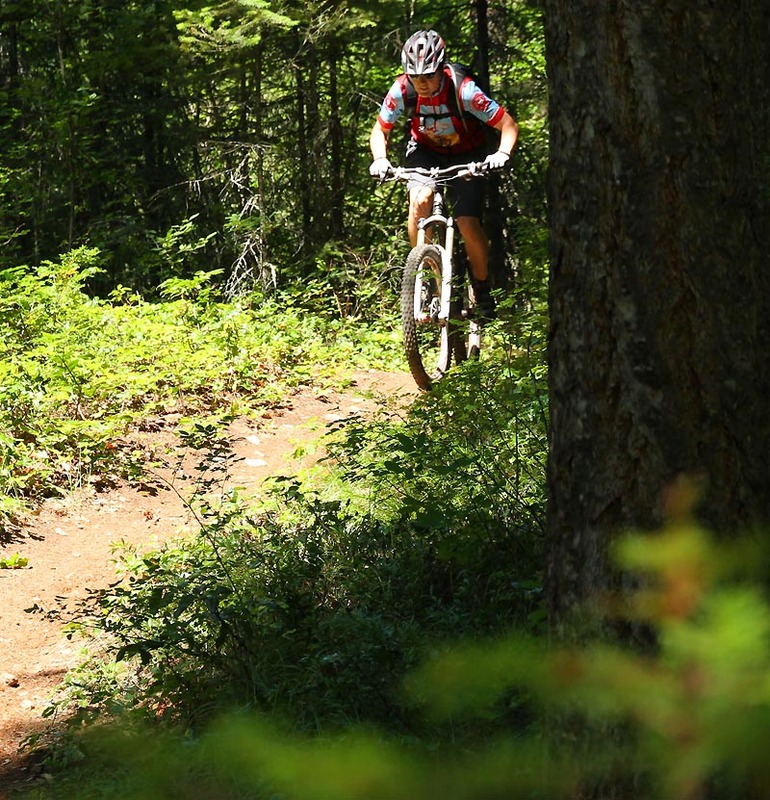 This area has some great single track trails for all levels of riders easily accessed by a dirt road climb. Trail Map Here. 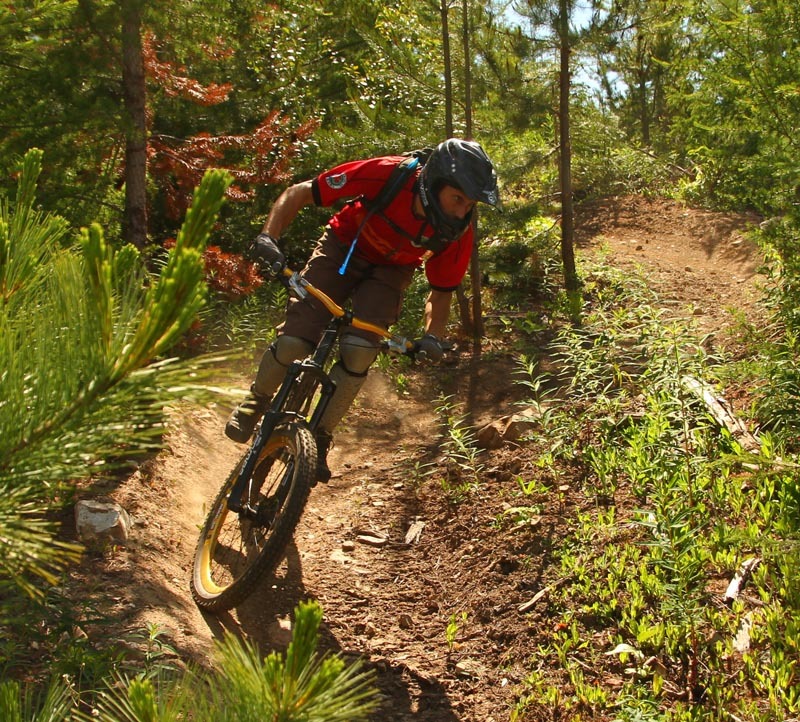 This area also hosts hosts the Salty Dog Mountain Bike Race which is a local cross country event. Silver Star, located near Vernon, BC it is easily accessed by any of the Interior towns for a day trip or part of a larger BC Tour. 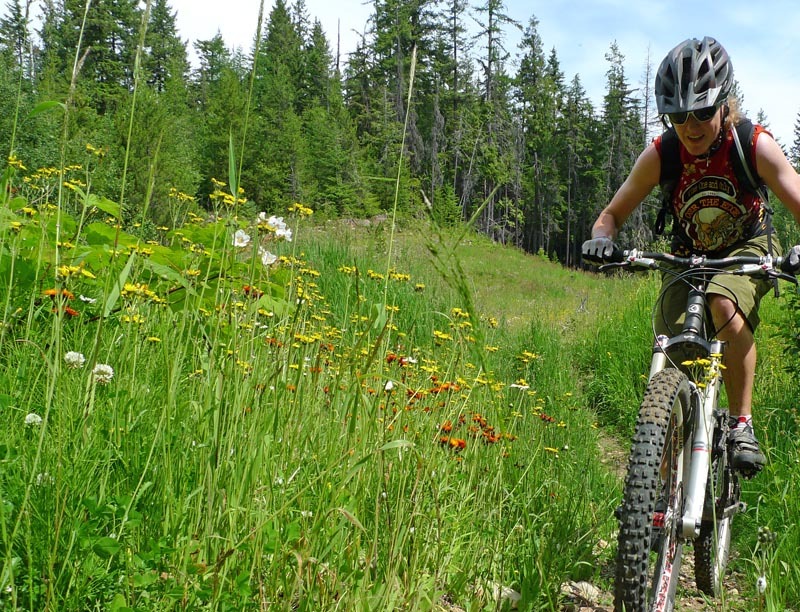 An easy scenic 45 minute drive and you’re enjoying the lift assisted loam fest of Silver Star Resorts. 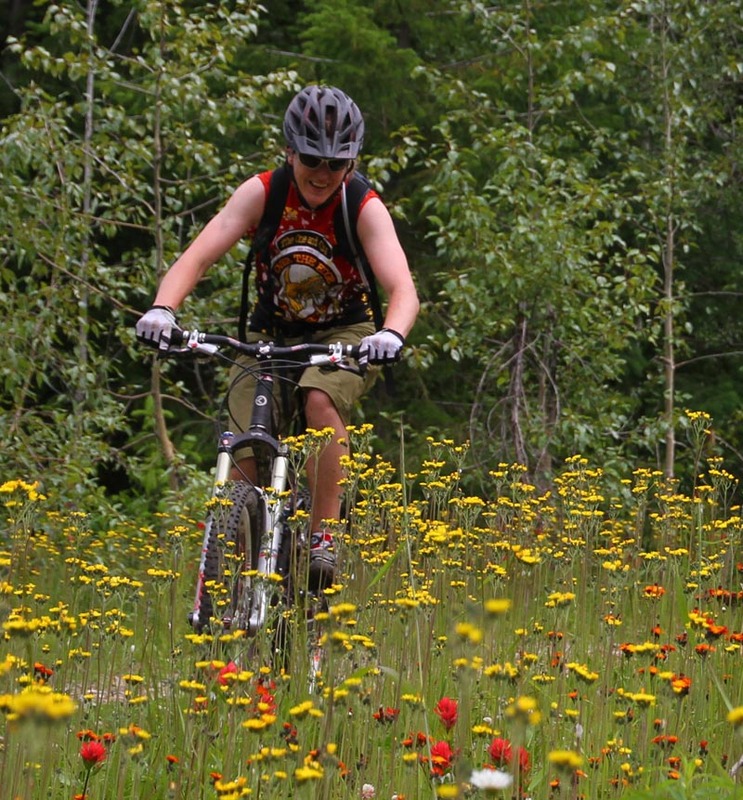 Hosting 16 runs averaging 1600m vertical drop the trails are accessible to all levels. 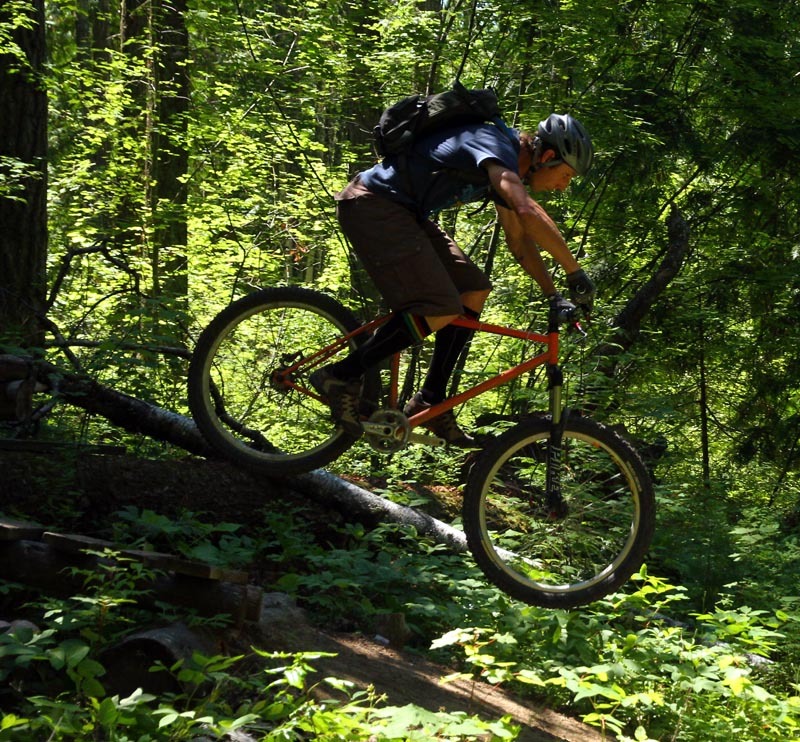 Although they are rated such that some trails should only be ridden by riders of certain skill levels to keep the trails flowing, prevent conflict and allow riders to progress to those higher ranked trails as their skills improve. 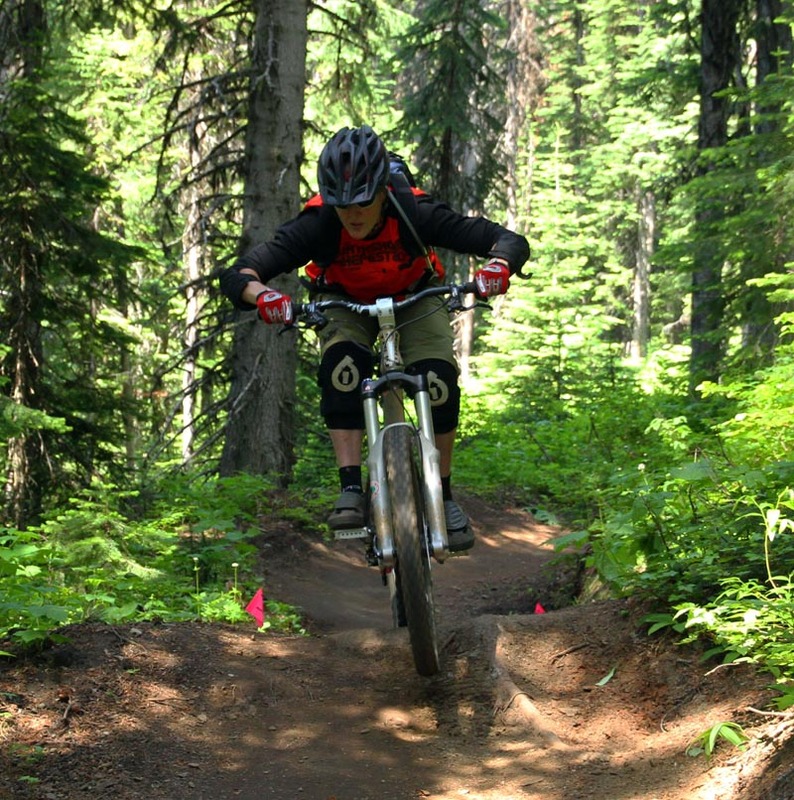 I must say I was impressed by the accessibility of the trails at Silver Star. 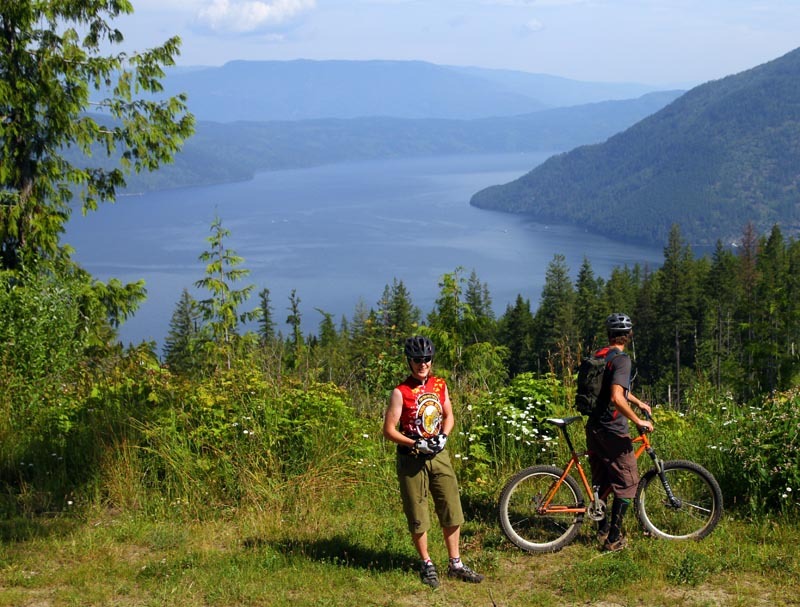 The Shuswap Trail Alliance was established in 2005 to create a hut to hut trail system throughout the region. One part of this system is the Larch Hills Traverse. A 38km traverse in the hills above Shuswap lake, between Sicamous and Salmon Arm. This ride can be done in many variations. 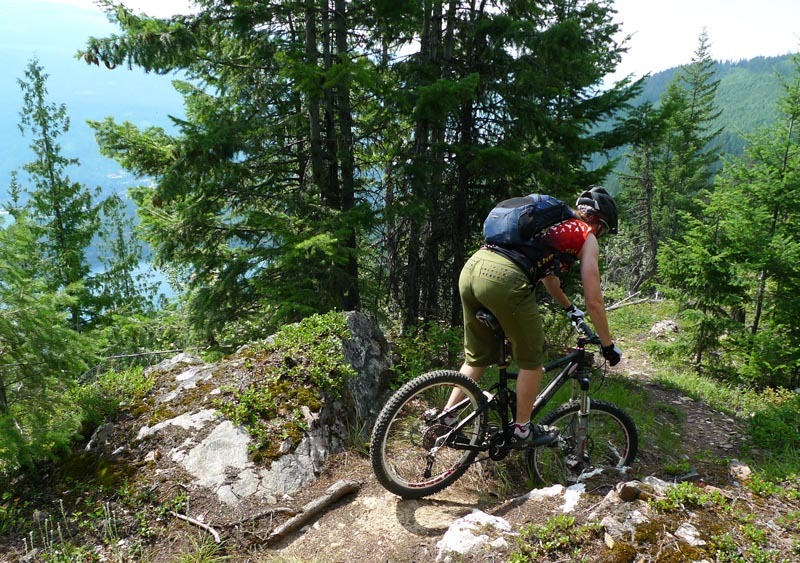 We rode from Sicamous to the start of the Rubberhead Trail system This consisted of 20km of the traverse followed by the road down to the Rubberhead system and single track down to Hwy 99. 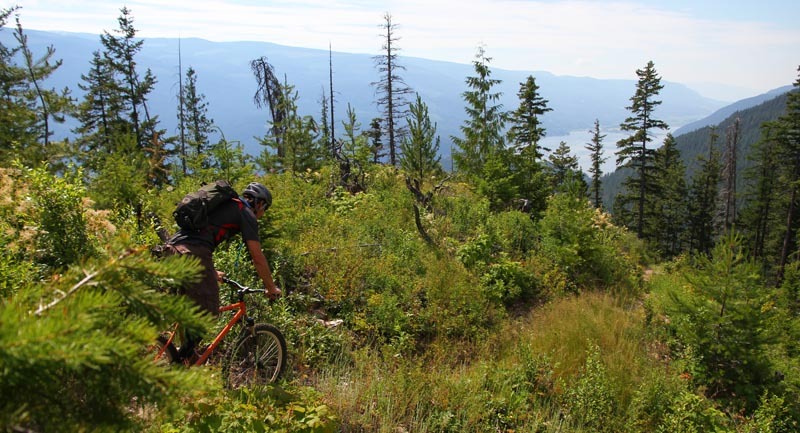 The traverse includes views of Sicamous, Mara Lake, Shuswap Lake, the Monashee Mountains as well a the rolling terrain connecting them. 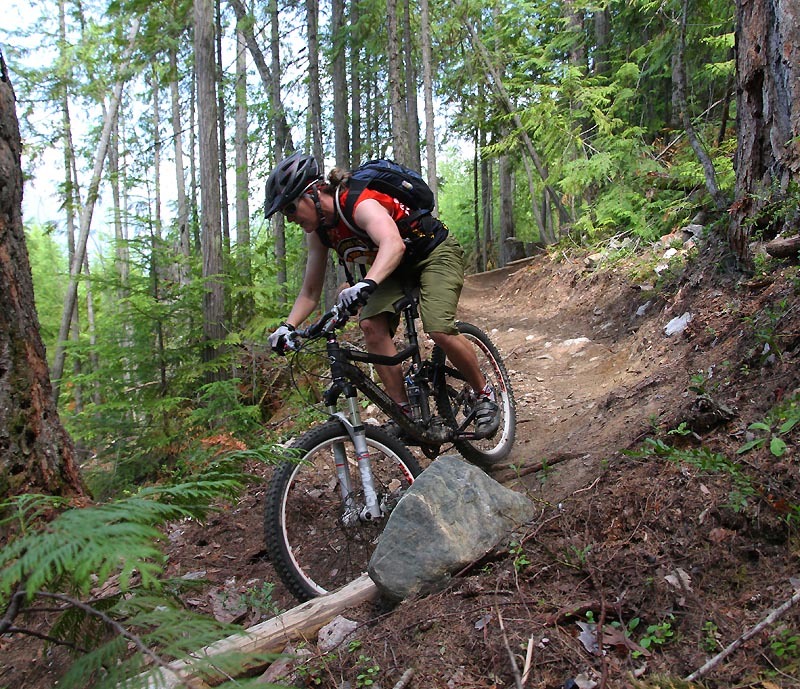 There are plan in the works to add 20km of trail to the traverse, cutting out two of the larger logging road sections. 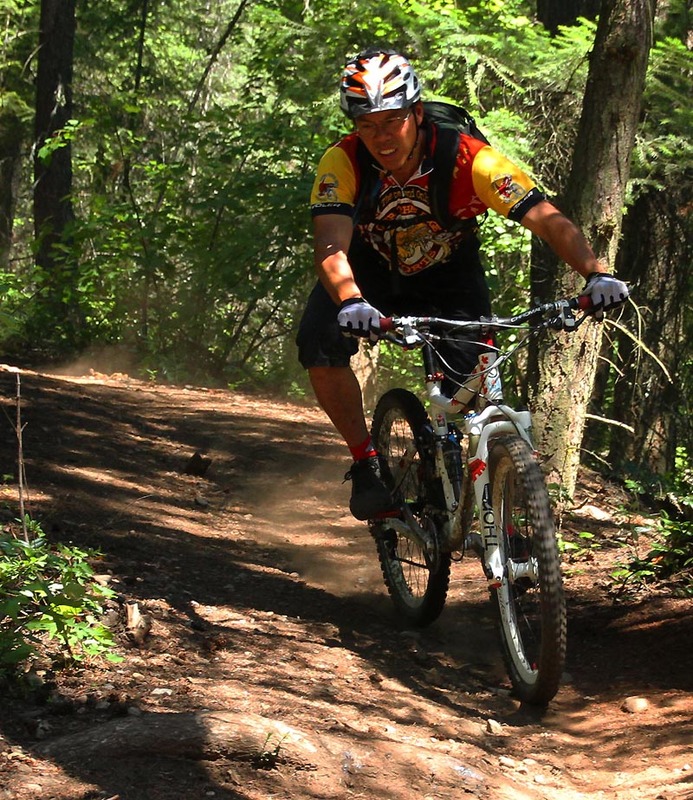 as well there is hopes to add a single track climb linking from the south canoe trails. Bostock variation starting at Sicamous. 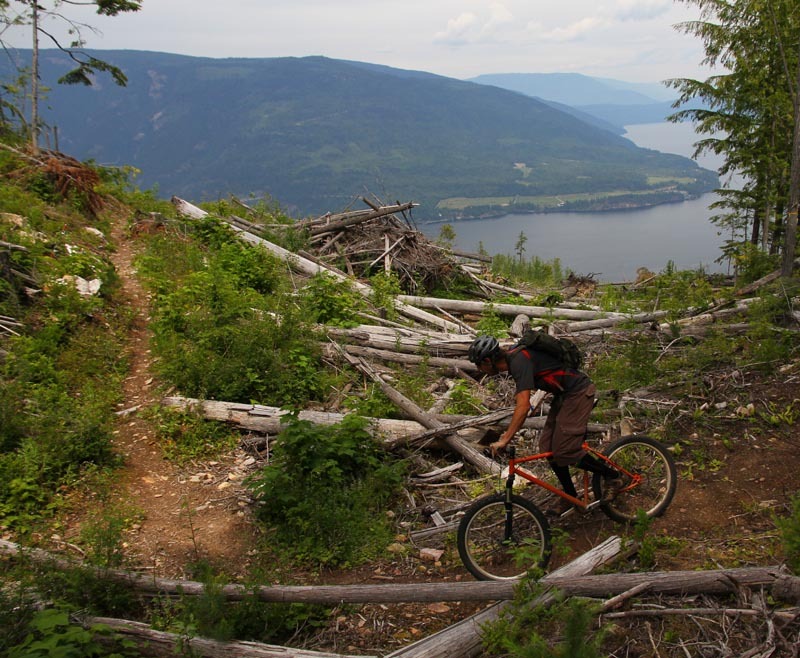 It might be better to start at the top of the Rubberhead system and ride to Sicamous unless you prefer climbing to descending. Just East of Salmon Arm is the Rubberhead trail system. 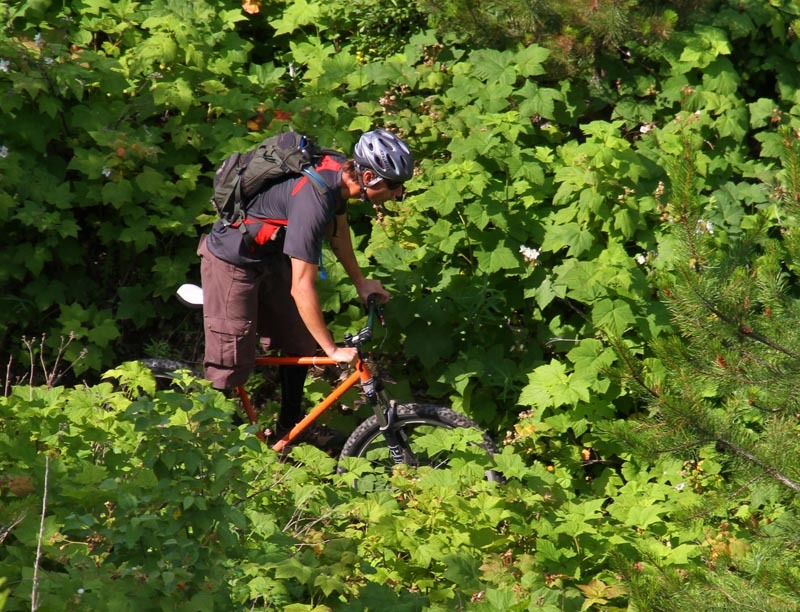 This trail network is easily accessed by a logging road. 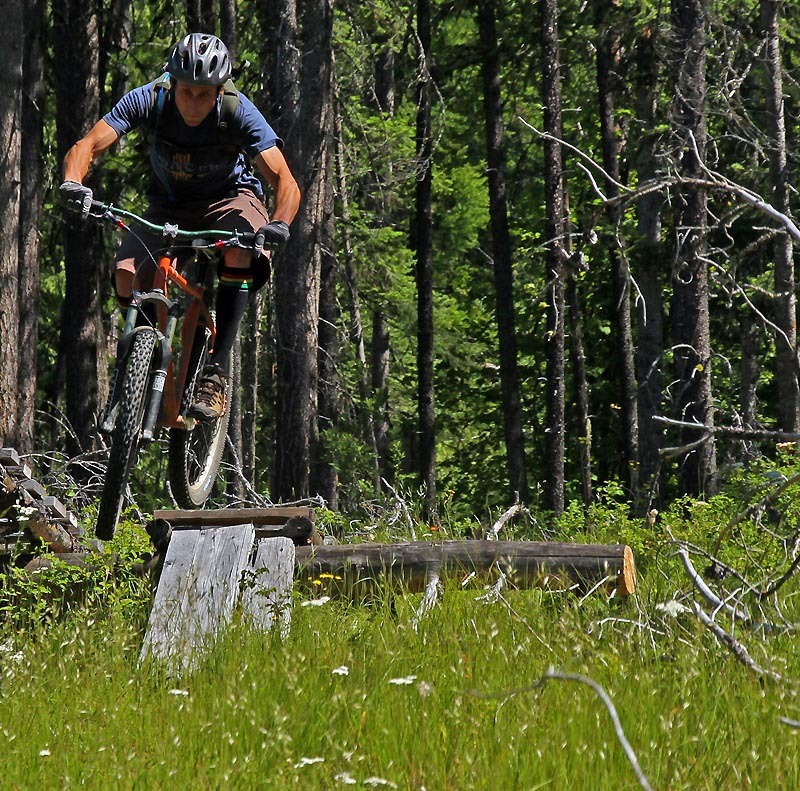 Last fall the Trail Alliance added 7 new sections to the area, and are currently picking away at more. 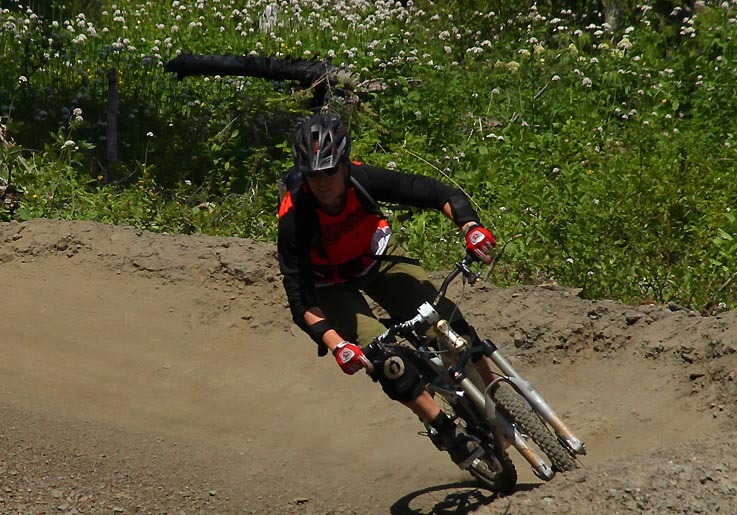 Offering a variety of downhill trails that can be ridden on a cross country bike or your downhill bike. The area is well signed and it should be easy to create a good day of shuttling or optional short climbs to other trails. Access: Travel east of Salmon Arm on Hwy 1 approx 4 km past the Federated Co-op mill. Turn right onto Forest Service Road (FSR) #110 just after a right corner on the highway and an info pullout on the left side of the highway. Follow the 110 Rd. up approx. 2.5 km where there is an old narrow skid road that goes up to the left. Park here. To continue to the trailhead, follow the 110 Rd. up to 8.2 km, and turn right, up the steep hill, and follow this road up to 10.5 km. Look for trail on left through the top of the cut block. Now that you know what the area has to offer where are you going to eat? The [L=http://www.barleystation.com/]Barley Station[/L] can also wet your whistler. In Canoe check out [L=http://www.profilecanada.com/companydetail.cfm?company=2116036_Docs_Neighbourhood_Pub_Canoe_BC]Docs Pub[/L]. Summary Videoof Salmon Arm from Lee Lau on Vimeo. 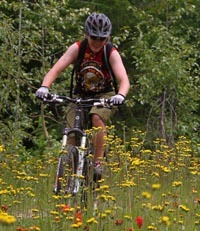 This entry was posted in 2010, bike and tagged Rubberhead, Salmon Arm. Bookmark the permalink.